Thank you for your interest in La Casita Mexican Restaurant and Catering Service. La Casita Mexican Restaurant is a family-owned business serving delicious Mexican food in North Alabama since February of 2015. .
Our catering department serves events ranging from small office luncheons to large corporate functions. Our friendly, knowledgeable Catering Manager work with you to quickly identify your needs and develop the perfect menu and service for your event. We hope that we gain the opportunity to work with you to make your event successful! Perfect for Office Parties, Rehearsal dinners, family gatherings, Receptions or any fiesta. La Casita arrives about an hour before your desired serving time with everything to make your event a success, we include a decorated buffet completed with chafing dishes , serving pieces, plates, utensils, and napkins. There is nothing left for you to do but enjoy yourself! ***Soft or Crispy taco, with your choice of Chicken or Beef. Taco includes lettuce, cheese, chopped tomatoes, sour cream and onions. **Fajita Taco Salad- Your choice of grilled chicken, steak, or shrimp filled with lettuce, pico de gallo, shredded cheese, sour cream and guacamole. Grilled onions, tomatoes, and bell peppers are also included inside the salad. ***Chicken, Steak or shirmp fajitas cooked with grilled onions, tomatoes, and bell peppers. Sides includes, rice and beans, guacamole, sour cream, pico de gallo, and lettuce. 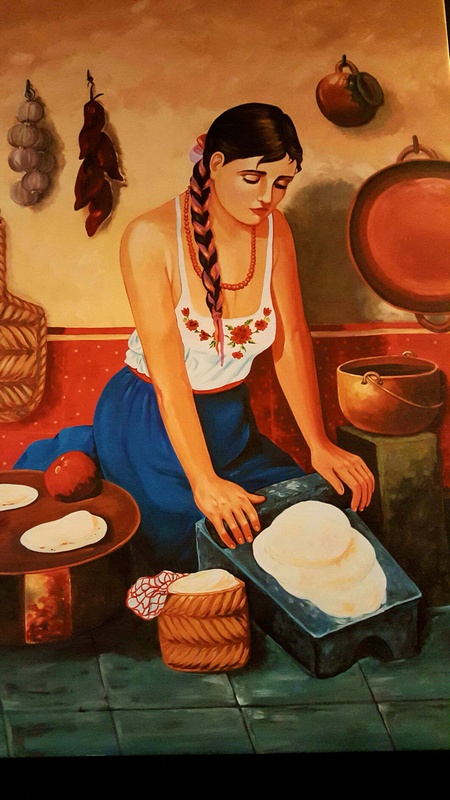 Served with your choice of flour tortillas, corn tortillas, or hand made tortillas. ***Burritos $45- Your choice of ground beef, chicken, or beans. Topped with shredded cheese and covered with red burrito sauce. ***Enchiladas $38- Your choice of ground beef, cheese, or chicken. Covered in red Enchilada sauce. ***Quesadillas $45 - Your choice of chicken, cheese, or ground beef. ***Chimichangas deep fried tortillas with a filling of shredded chicken, ground beef, shredded beef, grilled chicken, steak or shrimp. Topped with cheese dip, lettuce, sour cream, guacamole, and pico de gallo. Accompanied with rice and beans. Grilled steak topped with cheese sauce. Served with rice, beans, lettuce, pico de gallo, and tortillas. Grilled steak served sizzling on a bed of bellpeppers and onions. Served with rice and beans and torillas. Grilled t-bone topped with cheese sauce. Served with rice,beans, and tortillas. all orders includes soft drinks, bottled water or natural water such as agua de horchata and Jamaica. Also includes Mexican dessert such as Flan, fried ice cream, sopapilla, and strawberry pretzel cake. Please call in catering orders within 24 hours.